Some people of our generation are always complaining about not being taken seriously, that their voices aren’t being heard and that they’re being sidelined by politicians and popular debate. In some ways the whingers have a point. 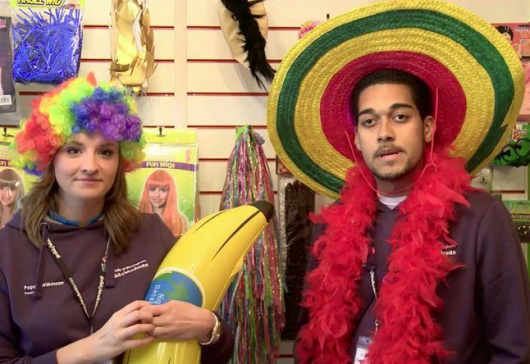 Young people today – especially students – aren’t taken seriously. Thing is, I’m starting to think this is entirely justified. I work for an online political rag called Spiked and, over the past month, I’ve been travelling to universities up and down the country as part of our ‘Down With Campus Censorship!’ campaign. Student politicos have always been a touchy bunch – wont to ban and boycott things that offended their delicate sensibilities – but, in recent years, things have gone from bad to worse. 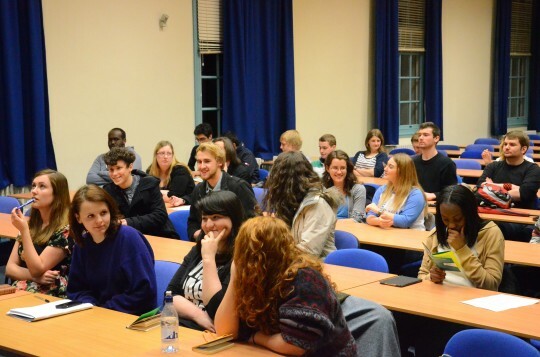 The campaign seeks to turn the tide of student opinion and put free speech back at the heart of university life. Needless to say, it hasn’t been easy. Once, the NUS’s No Platform policy, which bans extremists from speaking at union-affiliated events, was the primary means through which SUs silenced ideas they didn’t like. It’s an illiberal and patronising policy that suggests students are too feeble-minded to take on abhorrent ideas in open debate. But, at the very least, these are powers reserved for genuine tossers – racists, fascists, homophobes… Today, student unions are banning everything, from tabloids to pop songs. Where once self-righteous student unions tried to protect students from Nick Griffin, now they want to protect them from Robin Thicke. Aren’t there more important things to be worried about than this man? Having been out of university for two years, I had almost forgot how detached student politics is from reality, but the genuine disdain with which so-called student radicals hold their fellow students was perhaps the most shocking thing I’ve encountered on the campaign trail. 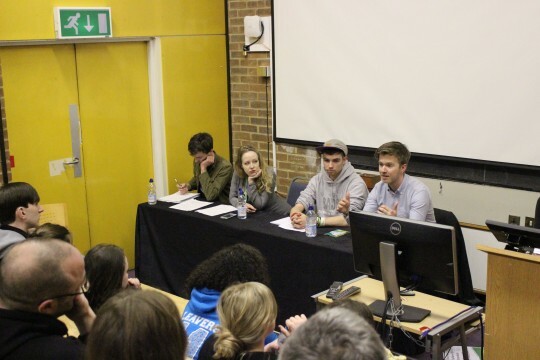 Speaking on debating panels, I’ve heard feminists argue Page 3 is actively turning students into rapists, that the mere presence of a UKIP representative compromises students’ mental wellbeing and that university ‘safe spaces’, where ‘vulnerable’ students can escape the dangers of campus life, were a genuine necessity. When I had the gall to argue that students are intellectually robust enough to confront a crass pop song, a racist rant or the odd cat-call without crumbling into a quivering wreck I’ve been accused of being painfully naïve, perhaps blinded by my relative privilege. Students today, especially women (poor things), are simply too soft to take part in the messy world of debate and disagreement. This is the idea that fuels these bans. There have been points at the campaign where this whole business feels patently absurd. Every time the word ‘Blurred Lines’ is uttered in tones usually reserved for far-right militias or Islamic extremists one wonders what on earth has happened. But, even though the bans seem pointless, tokenistic and trifling – put in place in closed-off council meetings, often taking effect without anyone noticing – they represent a chilling shift. 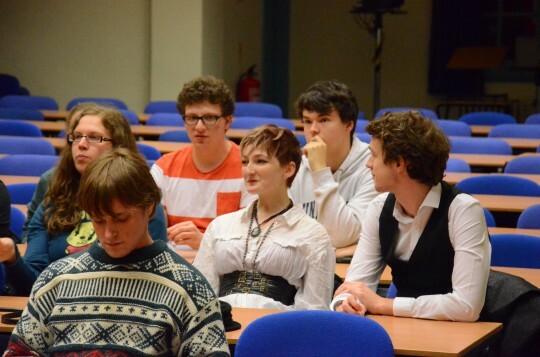 It wasn’t too long ago that students fought to be taken seriously as thinkers and activists. They hit out against the worrisome university managers of the 1960s who actively prohibited their right to speak freely for fear they’d converted into Soviet agents, or worse, hippies. Now, students have taken on the role of the worrisome commie-bashing professor, and have cracked down on increasingly banal and harmless forms of expression. These bans are always called for in the name of radicalism, of pushing for a more tolerant and progressive society. The truth is that censorship is a bulwark to radical change. It hides bigotry from view, it buries students’ heads in the sand and it shuts down the truly free and open debate necessary to uproot, debate and demolish the things in society we seek to overturn. Once student unions wanted to change the world, now all they want to do seal themselves, and all the little ‘vulnerable’ people they preside over, off from it. At every turn, self-appointed student reps are saying what can and can’t be said, read and heard by their fellow students. So much for it being greying politicians silencing the student voice; student politicos are doing a fine job themselves. What’s heartening is that on each campus we’ve visited there are students who are royally pissed off at being treated like impressionable children by their union officials. Indeed, whenever bans on ‘Blurred Lines’ or the Sun have been put out to referendum they’ve been overturned, almost without fail. Thing is, despite only being voted for by a tiny slither of the student population, student unions have got it into their heads they’re virtually infallible – in one Kafkaesque council meeting, the University of London Union blocked a vote on their ‘Blurred Lines’ ban for fear of turning out this great, progressive gain to a ‘tyranny of the majority’. Only once they have reclaimed their right to free speech can students truly get on with the job of broadening their minds, challenging backwards ideas and changing society for the better. 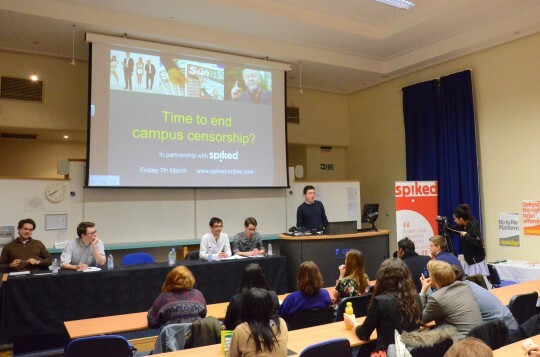 Tom Slater is the Assistant Editor of Spiked, who will be holding a series of debates about censorship on campus.